Para leer esta carta en español, haz clik aquí. 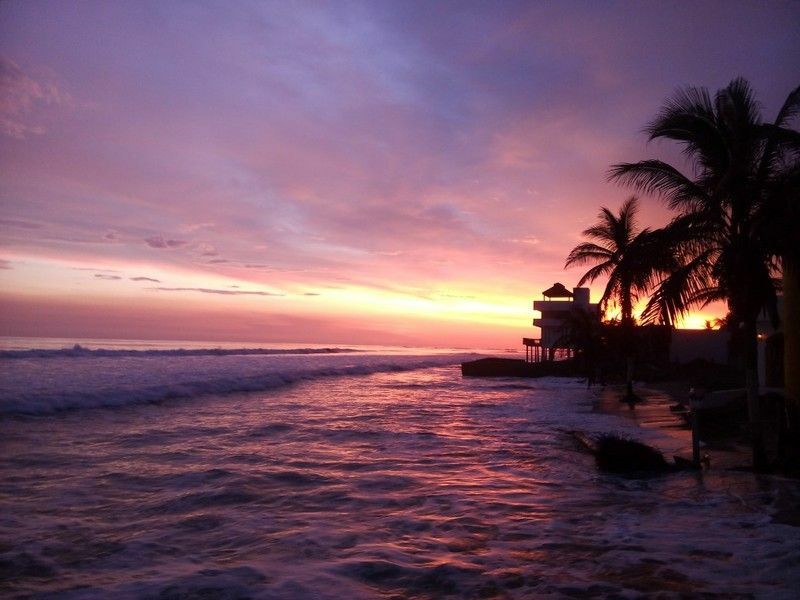 We know that friends and family in the States and around the world want to know what we're up to here in Mexico. Frequently, we find ourselves so busy living life that we simply don't have time to write about it! The idea occurred to us a couple of weeks ago to begin asking our other team members to write about what is going on in ministry here. We're all working together, and it's nice to get a fresh perspective on events from time to time (especially nice for the one who has to write the update letters!). Our team continues to stay busy with construction projects, Bible classes, men's and women's small groups, three different weekly youth group meetings, church services and "Life". Be sure to read our prayers and praises at the end of this letter. There are some pretty exciting things happening here in August!!! This week we want to share a letter from another of the pastors that we are working with here in Las Glorias. Joaquin and his wife, Luz, are co-pastors here at the Upper Room and have dedicated a large portion of their time, energy and resources to work with youth in the villages around them. Joaquin also has been playing minor-league baseball this season and his team has made it to the final series. He views playing on this team as a huge ministry opportunity and has been able to share Christ with all of his teammates and many players from other teams as well. Joaquin leads worship during church service in the Upper Room. Our group has been growing and we now average about 40 adults on Tuesday evenings, plus about 10 children during the kids' class, which Keala continues to head up. This past June, God blessed Luz and I, by giving us the opportunity to team up with the Coult, Leal, Ramirez, Mendoza and Canseco families, as we've been doing for the past 3 years. The role that God has given us in this team is co-pastoring with Doug and working with the youth. 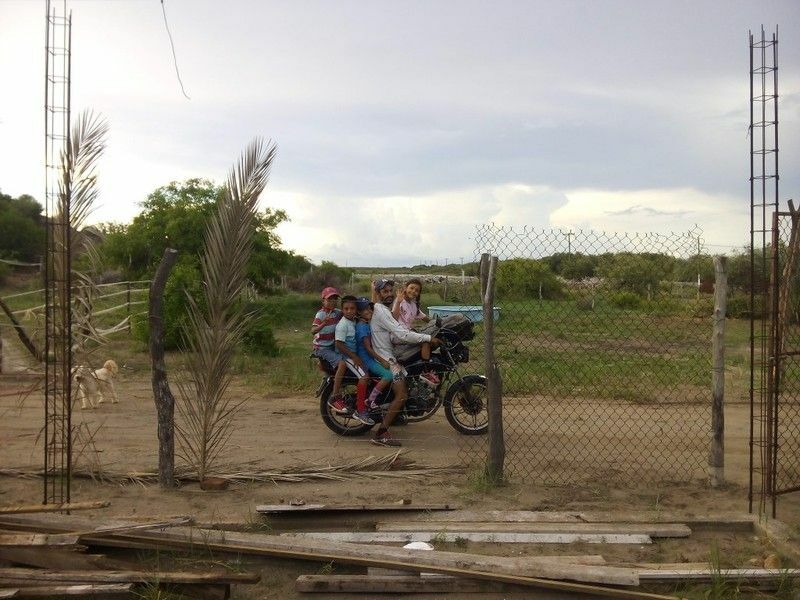 We are also preaching the Gospel through sports, specifically in baseball, softball and soccer where we have been planting and watering the Word and seeing a harvest of fruit in the lives of men, women and children in our community of Boca del Rio/Las Glorias and in other communities, too. Joaquin taking a group of kids to baseball practice. 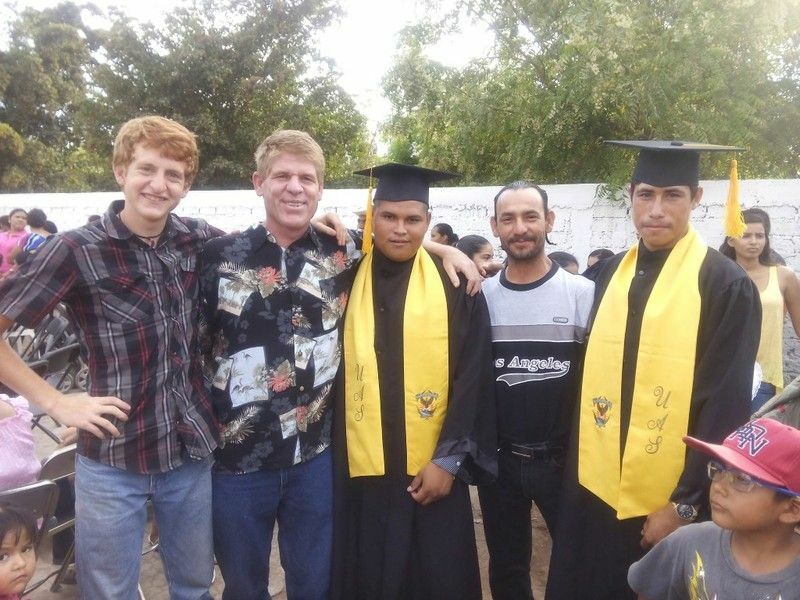 Several of the young people from our youth group graduated from high school last month. Here are Norberto and Fernando, both of whom have been hanging out with our family since they were about 11 years old. Fernando has made a decision to follow Christ and was baptized in April. Norberto has a desire to learn English and wants to study with Jessee to that end. 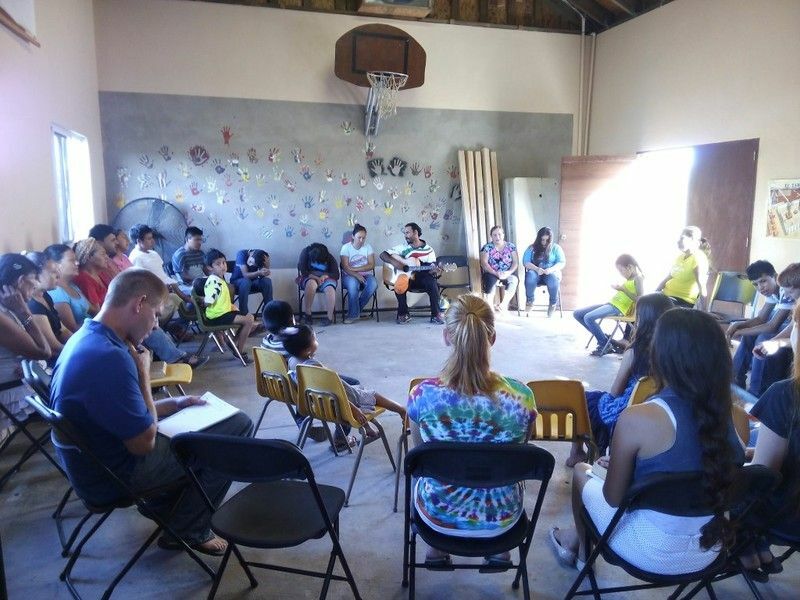 We are likewise serving other churches such as Church of Grace with Pastor Siloé, in Guasave, where we have been helping with their youth group in leading worship and teaching the Word. My son, Kevin, along with Jessee also helped Pastor Siloé with their church's VBS. 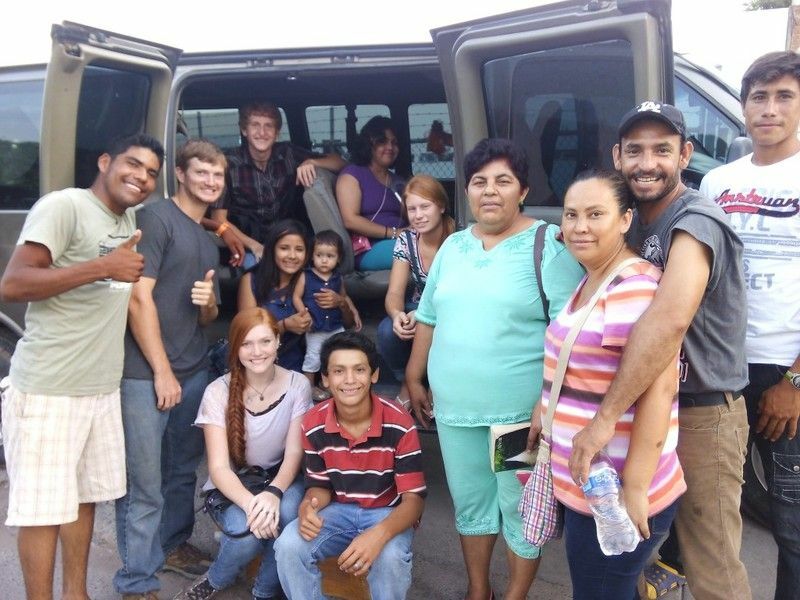 This is part of our youth group which travels to Guasave every Monday to worship and fellowship with the Church of Grace. Our ladies group has been studying the book of Ephesians. 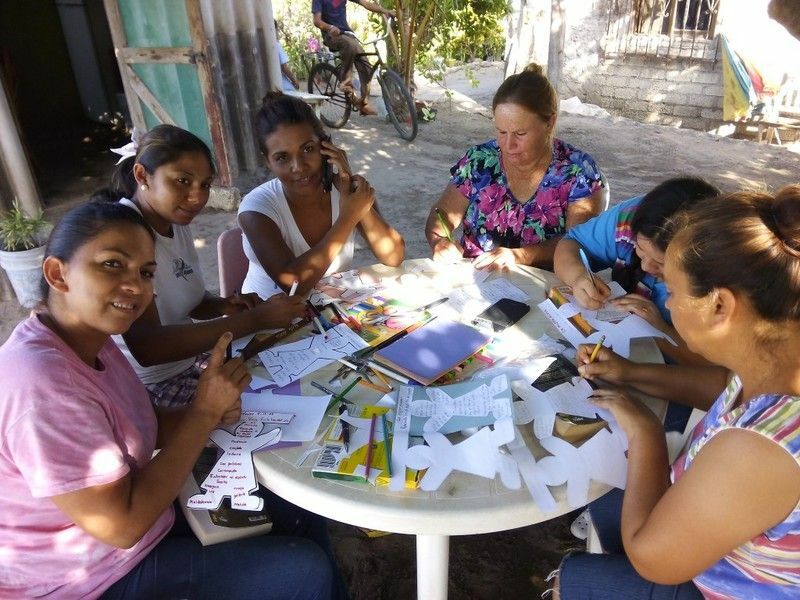 Last week, they group did a craft project to help them remember Ephesians 4 -- and put it into practice. The Thursday girls' group is growing! 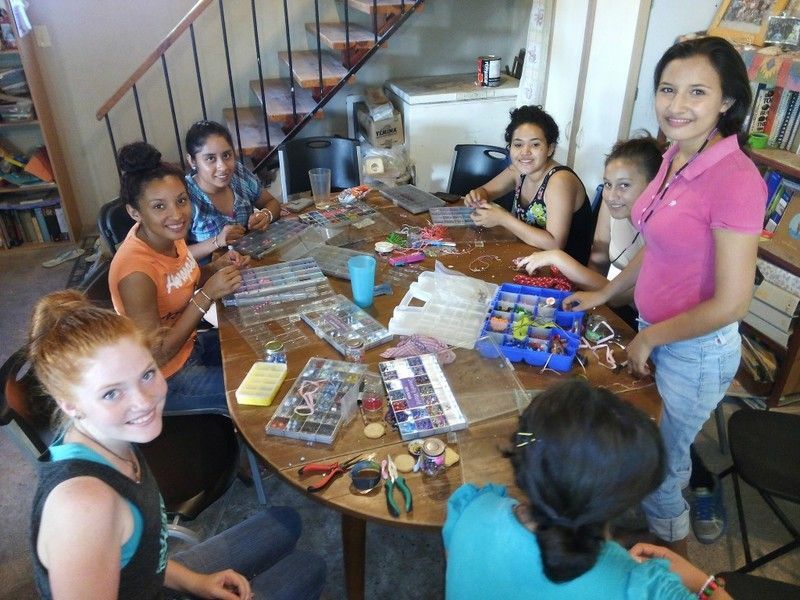 They meet every week to do art or baking projects and to just hang out together and pray for each other. We are very excited about this new beginning! All of this is thanks to the calling and the provision of God in our lives, who sustains us by blessing us with work making doughnuts, doing carpentry work and painting. I find myself surprised and blessed to see how God deals with people with so much love and great power through the miracles that He does in our lives. We continue to pray to God for you, our brothers and sisters in Christ in the USA, who are also praying for us in Washington, Texas, Arizona, Michigan, Oregon, California and across the whole nation. Thank you so much and we pray that the peace of our God would guard your hearts and minds in Christ Jesus, our Lord. Praise God that Doug's health has improved greatly! He is still struggling with allergies, but his stomach issues are finally going away. Praise God for the construction company we've begun in Las Glorias and for the men it has been able to employ for the past months. Pray that God would continue to provide work! Praise God for the daily Bible studies the men have been able to do at the construction site. Pray that God would continue to bring men to the study who need to hear about Jesus. Pray that the new believers and those who have been baptized recently would remain strong in their faith. Praise God that the translation and compilation of the Genesis Bible Pathways is complete and we're ready to print! Pray for us as we begin session 3 of Bible Pathways here in Las Glorias and pray for the disciples that we have here in our house as well as in our village. Pray that the piece of property that we own in Oregon would sell. We've had it on the market for nearly 10 years. Praise God that Julio and Lupita have decided to become legally married!!! They had a civil ceremony last month and we are planning an actual church wedding on the 30th of August. Pray for this couple and for the great things which we believe God is planning to do in and through their lives. Pray for a young lady, Danira Rocio, who is in our youth group. The youth group and the Body here have taken up the challenge to raise money for an operation that she needs. The goal is to raise $5000 for the surgery. Pray for provision, pray for wisdom, pray for perseverance! Danira is passionately in love with Jesus and has faith that God is going to provide and completely heal her, but she also struggles with being discouraged at times. The past year has been very difficult for her, and we're praying that we can get her into surgery before Christmas.